If you don’t already know, I like fractals a lot. 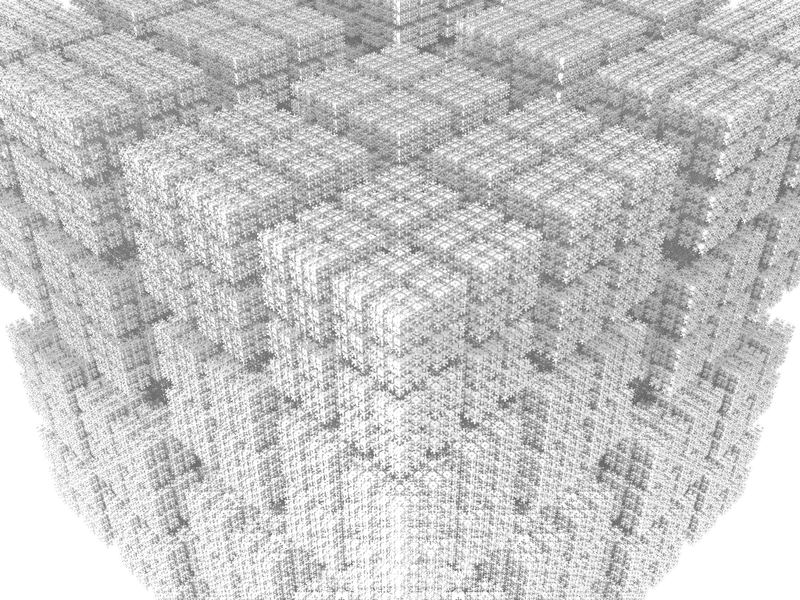 A few months ago I was playing around with the T-Square fractal. 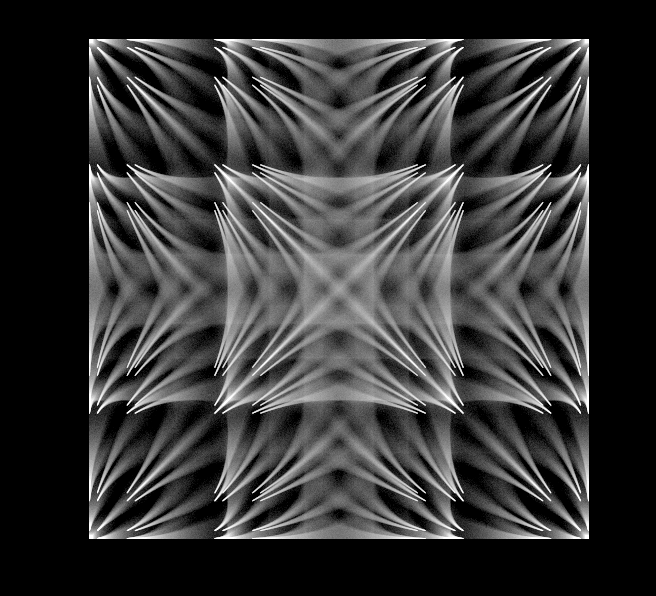 Recently I decided to revisit this fractal and try to add another dimension. So instead of using squares, I decided that I’d use cubes and make the rules the same. For each free corner on a cube, create another cube and repeat. I’d love to make a video out of this but I don’t think my budget can afford it right now. 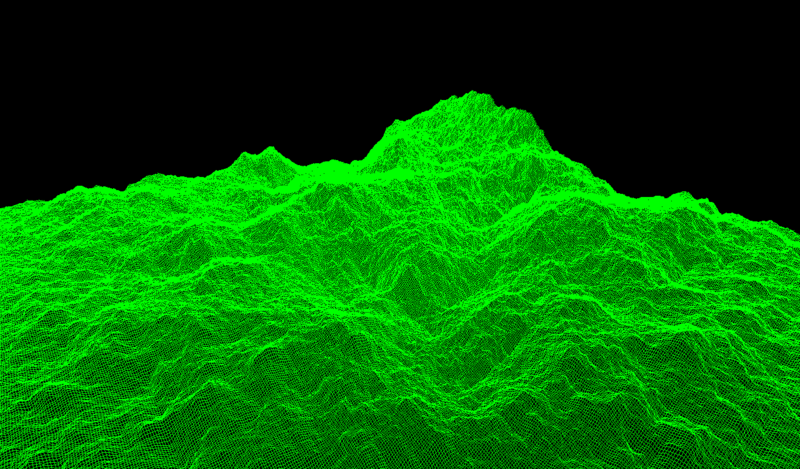 The frame you see above you took about an hour or so to render on my laptop. Unless anyone has a cluster they’re willing to lend me, I’ll have to stick to stills for now. I decided to 3d print it. Printed on a 3d powder printer at Makers Factory in Santa Cruz. In order to get it made into a proper 3d file, I actually ended up writing a Python script for Blender, you can find that here. Turns out that scripting Blender is way easier than writing .STL files — just to write a cube you need to define a bunch of vertices’s and get them all in the right order or the normals are screwed up. 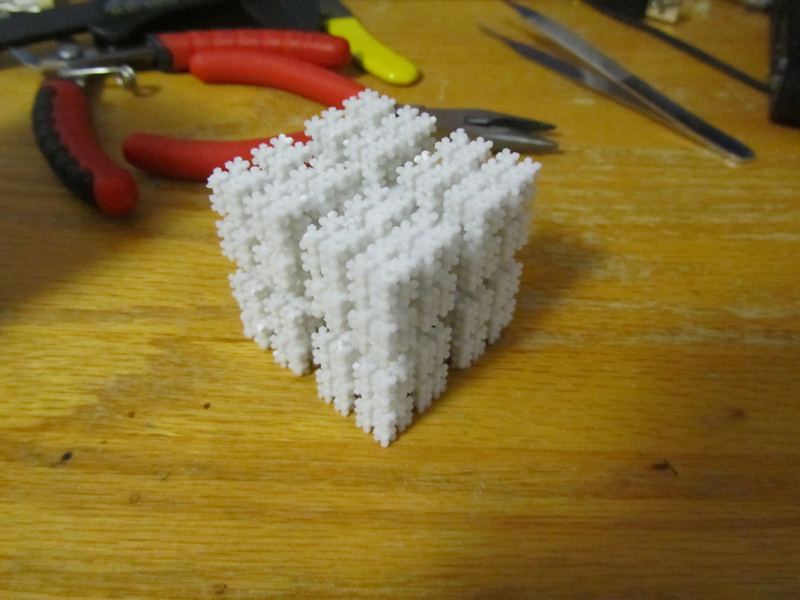 And a 3d print of the fractal with only 6 iterations this time. 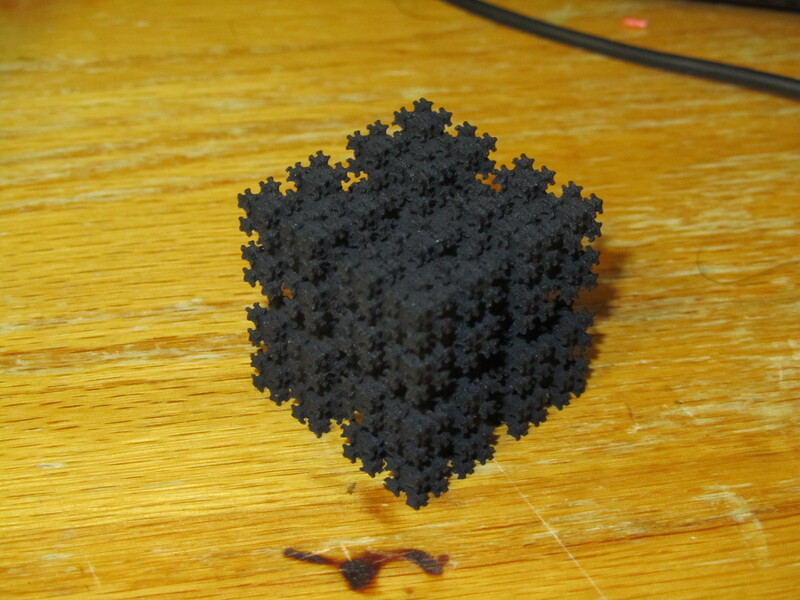 I sent away to Shapeways to get it printed in black plastic.